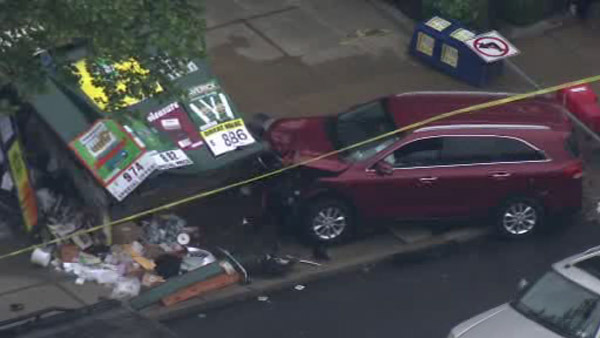 WEST OAK LANE (WPVI) -- An SUV slammed into a newsstand on Monday afternoon in the West Oak Lane section of Philadelphia. The crash happened around 2 p.m. near the intersection of Broad Street and Godfrey Avenue. One person was taken to the hospital in an unknown condition. Whether that person was in the vehicle, in the newsstand or a pedestrian was not immediately known. Philadelphia police were on the scene.